Beautiful black and white Siopa Rince dress in good condition. 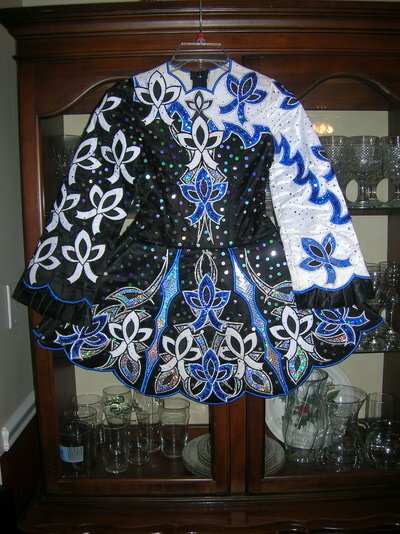 Would suit 8-9 year old prizewinner or prelim dancer.Comes with 2 headbands, bloomers and tutu. Asking Price: $US200. Shipping costs are not included in the asking price. Will accept returns and refund the cost of the dress, buyer to pay all shipping costs.